It could be argued that prior to the rise in popularity of Marvel Comics, DC heroes were defined less by personalities than by powers and costumes. 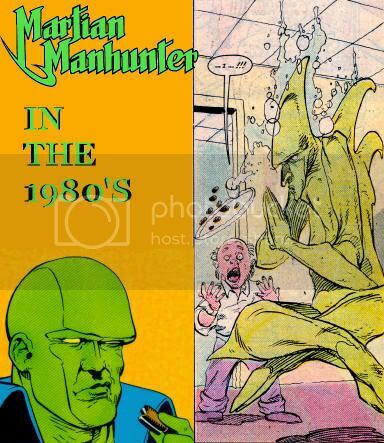 The Manhunter from Mars made very few appearances in the 70's, and of those his characterization was hardly fixed. 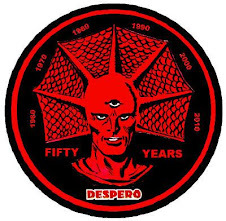 That said, it can be safely argued that the Martian Manhunter as he is known today was defined by the 1980's, and really only the second half at that. After numerous teases early in the decade, J'Onn J'Onzz returned to Earth and the Justice League with an army of invading Martians close behind. The Manhunter defended us once again, but at the cost of exile from his now-nomadic people. 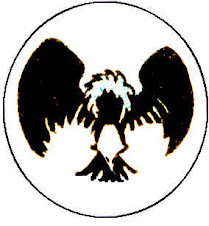 He served for several years amongst the infamous misfit "Detroit League," briefly as team leader. The team was disbanded by presidential order during the "Legends" crossover, several former members were murdered, and only J'Onn J'Onzz returned to the International League that soon formed. This was a wacky bunch, and Martian Manhunter soon rose to ringmaster and straight man over the lot. 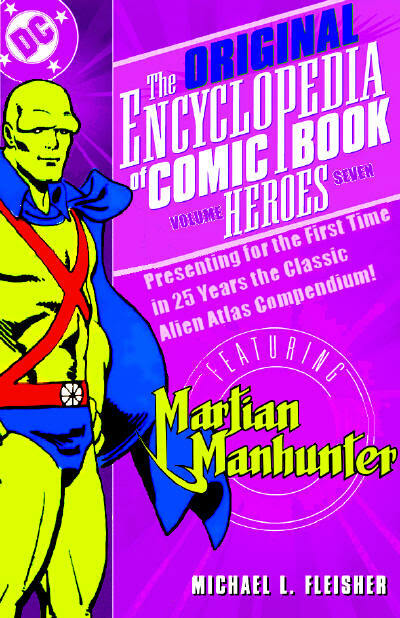 In the wake of the continuity-altering "Crisis On Infinite Earths," the Manhunter benefited greatly. On the one hand, all Martians were retroactively killed off; J'Onzz's memory of them proved false; leaving most of his previous adventures and supporting cast wiped out. There's also the matter of his learning his true "natural form" was not of a beetle-browed super-hero, but that of an anorexic Gumby. On the other hand, J'Onzz was now among the only super-heroes active from the 1950's until the present, making him a veteran over the likes of the rebooted Superman, Batman, and Wonder Woman. The Man of Steel was relieved of any sense of tragedy or survivor's guilt over Krypton, with even Ma and Pa Kent still alive in the present. J'Onn J'Onzz was gifted every bit of that pathos, doubled for his having lived on Mars for untold centuries, and for having lost a wife and daughter to a global plague. 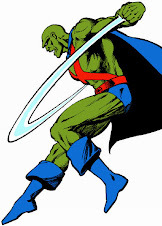 For a time, the Martian Manhunter even replaced Superman's role in Justice League stories written before 1987, and without a Mars II, was retroactively made the longest-standing League member in history. Between the artsy new age spirituality written into the character and his humorous surroundings in the JLI, a forgettable carry-over was suddenly given great depth and versatility. The Oreo cookie addiction continues to be a well-loved addition. 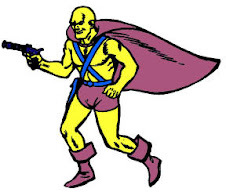 The character was also part of the Super Powers toy line, elevating his visibility significantly. #245 contained no significant Martian Manhunter appearance. 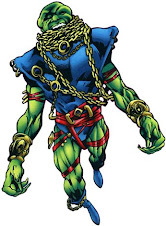 I'm not sure when did I found out that the pre-Crisis Martian was that different. I'm not sure I like the no Martians thing better. Maybe it would be cool if he was displaced from time and space like in the modern continuity, but many of his people were still alive, dwelling somewhere in the universe. Hoever, I have to say that I really appreciate the developments in his personality. He went from weird bald green guy to alien with mysterious personality. I'm particularly fond of Giffen and DeMatteis version, as well as that of the DCAU.